The agency is not slowing down, says enforcement chief Ceresney. 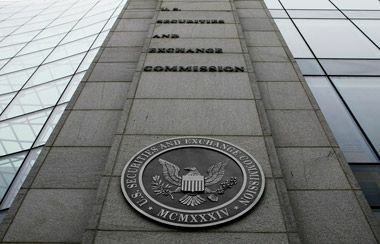 The Securities and Exchange Commission filed 807 enforcement actions in fiscal 2015 — with a record 507 involving independent violations of the federal securities laws — and obtained orders totaling approximately $4.2 billion in disgorgement and penalties, the agency said Thursday. The 807 actions is a 23% jump from the 755 enforcement actions the agency filed in 2014; The agency ordered only slightly lower monetary penalities of $4.16 billion than those levied in fiscal 2015, which ended Sept. 30. In 2015, 300 of the actions filed involved issuers who were delinquent in making required filings with the SEC or administrative proceedings seeking bars against individuals based on criminal convictions, civil injunctions or other orders. In 2014, 342 such actions were taken. The agency will release its full enforcement results in its annual report, which is due out in November. Notable first actions, Cerensey noted, include the case against UBS AG brought earlier this month for structured notes violations. UBS was ordered to pay $19.5 million to settle charges that it made false or misleading statements and omissions in investor materials for structured notes linked to a proprietary foreign exchange trading strategy. Another first was the Foreign Corrupt Practices Act violation the agency levied against BNY Mellon, Ceresney noted. BNY Mellon agreed in mid-August to pay $14.8 million to settle charges in connection with three valuable student internships it provided to the family members of foreign government officials affiliated with a Middle Eastern sovereign wealth fund. “I’d be surprised if it were the last” such bribery case, Ceresney said. Other notables included the $38 million awarded to eight whistleblowers in fiscal 2015. — Check out White House Nominates Peirce, Fairfax as New SEC Commissioners on ThinkAdvisor.